Helen Casacove passed away at the age of 81 years on April 23, 2018 in Vancouver, B.C. As per Helen's wishes a private family graveside service and interment will be held at a later date. Helen was born in her grandparents’ farm home in the District of Lilyvale, Saskatchewan on November 16, 1936. She was the second child of Sam and Antoinette Cazakoff (née Konkin), and a sister to 2 year old Natalie. When Helen was a year old, the young family moved off the farm to the town of Kamsack, Saskatchewan where they established a business – “Sam’s Tire Shop.” Tragedy struck in 1940 when Antoinette, after a brief sudden illness, passed away that September. This horrific event left Helen with a life-long sense of loss and it colored every aspect of her being for the rest of her life. Helen obtained most of her schooling in the town of Kamsack, but there were 2 years when she was able to attend the Lilyvale country school for her grades 7 and 8. She and her younger half-sister Cecelia walked 2 ½ miles to school during the warm seasons and rode in a horse-drawn sleigh during the winter. Helen loved attending Lilyvale School and excelled in her studies. She completed her High School education in Kamsack and moved to Vancouver soon after. Right from early childhood, Helen was thoughtful and demonstrated patience and compassion to all life. She loved all animals, especially cats and dogs. She volunteered to care for feral cats in the North Vancouver area and after she took retirement, Helen often “pet sat” for some extra money, but mostly for the love of the pets. 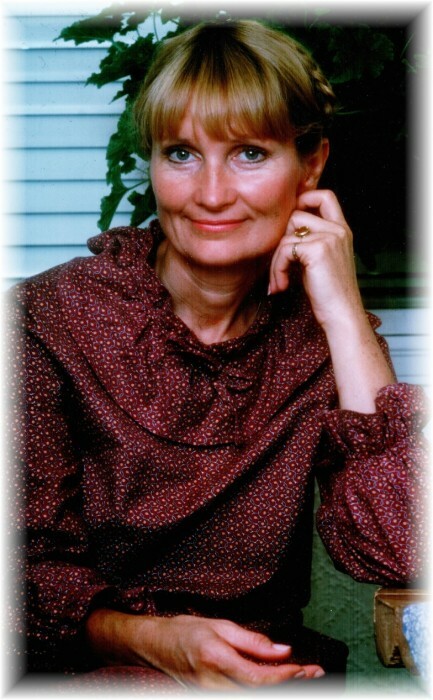 Helen’s traits of patience and compassion were probably what led her to the profession of Social Work. She received her Registration as a Social Worker in the mid – 1970’s and worked in that profession in Vancouver areas until ill-health due to severe arthritis interrupted her career and she had to take early retirement. Helen joined the North Shore Alliance Church and enjoyed her activities there and the many friends she made. Helen had friends from several walks of life and these wonderful people remained loyal to her and gave her love and comfort even through her final hours of life. May God bless them all. The greatest joy for Helen was to spend time with her daughter Cheryle and grand-daughters Chana and Nicki, and with her son Wayne and his wife Hazel, along with grandchildren Kristen, Blair, and Tiana. Helen led a quiet but full life – she loved nature, hiking, swimming, picnicking, and cross-country skiing. She proudly called herself a “country-bumpkin” and often spoke fondly of Saskatchewan and its big skies and big-hearted people. Helen passed away peacefully on April 23,2018 in Vancouver, B.C. Helen was predeceased by her mother Antoinette in 1940, her father Sam in 1997, her step-mother Mabel in 2016, and many beloved cat companions who gave her unconditional love and comfort. Left to mourn her passing are her daughter Cherlye Harris and granddaughters Chana and Nicki Harris, her son Wayne Rempel (Hazel) and grandchildren Kristen, Blair, and Tiana Rempel; sisters Natalie French and Cecelia Cazakoff, niece Melody Cazakoff, nephew Robin Grad (Barb), and grandnephews Kane and Eric Grad, as well as many cousins and extended family members and loving friends. Helen will be laid to rest beside her mother at Tolstoi Cemetery near the district of Lilyvale, in Saskatchewan. Blessed be, Helen. May you rest in peace in the arms of your Mother and God.